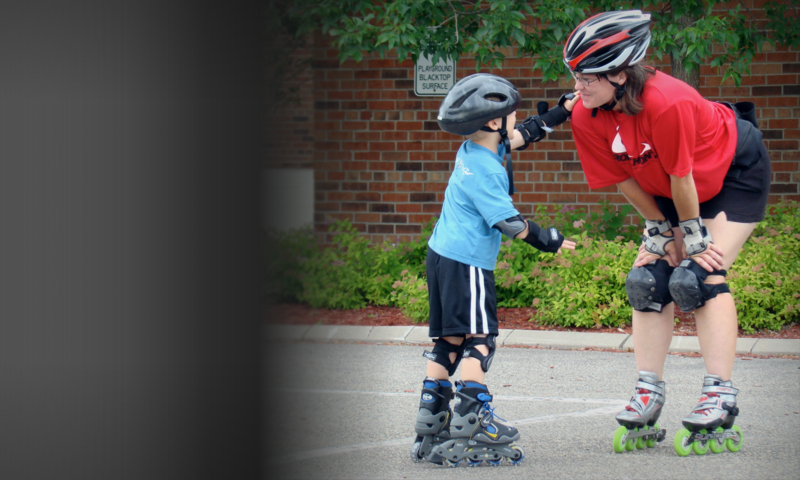 Robichon’s created multiple world first inline skate lesson programs including the world’s first comprehensive outdoor skate basics program, preschool and trail skating course (s). In our standard learn-to-skate program, we offer a progressive learn-to-skate format for all ages and abilities. Within the program we offer strategically placed guided trail skates to get you safely skating Minnesota’s famed trail system. With us you can learn-to-stop at any speed on any hill and have FUN while doing it! ” I was surprised at the personal attention that was given to every student regardless of skill level!” – Mark K.
ROBICHON’S is a sought after inline skate instruction sensation instructing thousands how to inline skate safely and effectively outdoors. We have been invited to provide world first skating clinics in cities across Minnesota, Wisconsin, and even Florida for the Walt Disney World Inline Marathon! We have been featured in numerous media outlets such as Minnesota Sports Magazine, Mankato Press, Brainerd Dispatch, The Star Tribune, Kare 11’s Perk-at- Play, Channel 9 news and Channel 4 WCCO. Based in Minneapolis, our skate clinics and camps operate May through September. We also offer clinics throughout the year in various locations across the globe. You are welcome to host a camp in your location or contact us for our summer camps and clinics in Minneapolis, the birthplace of inline skating.